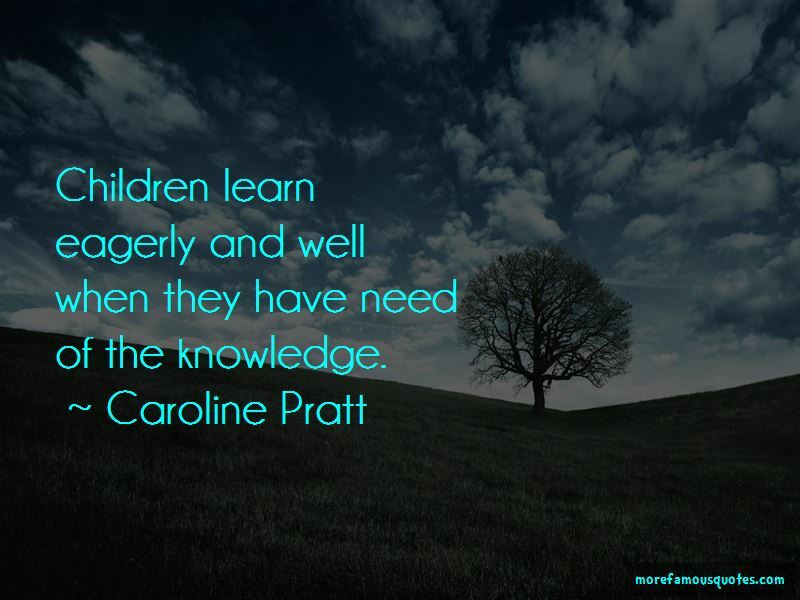 Enjoy the top 15 famous quotes, sayings and quotations by Caroline Pratt. 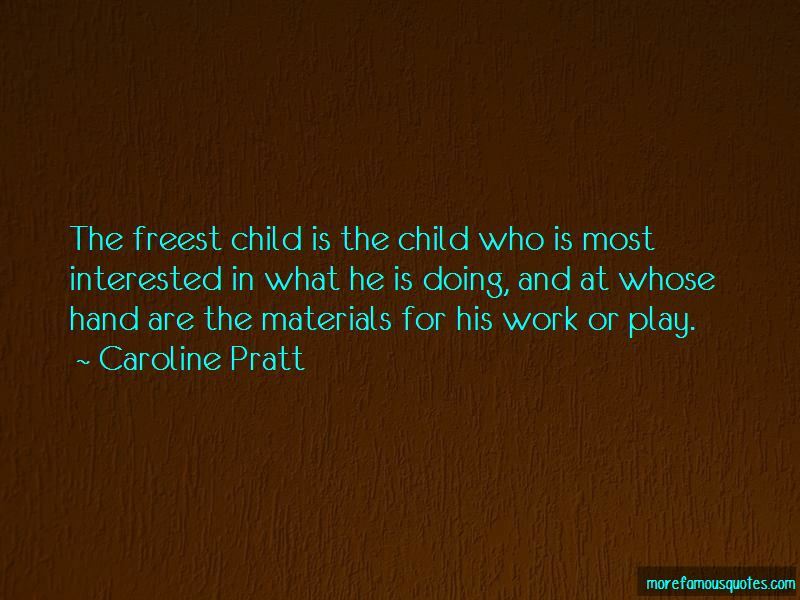 Childhood's work is learning, and it is in his play ... that the child works at his job. 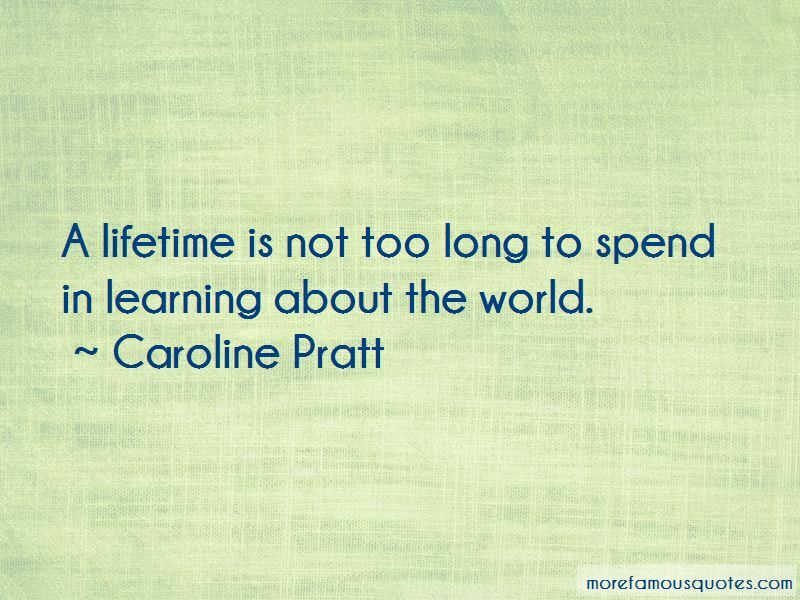 A lifetime is not too long to spend in learning about the world. The more closely he has observed the tugboat, the more deeply he has been stirred by it, and the more eagerly and vividly he will strive to recreate it, in building, in drawing, in words. Want to see more pictures of Caroline Pratt quotes? 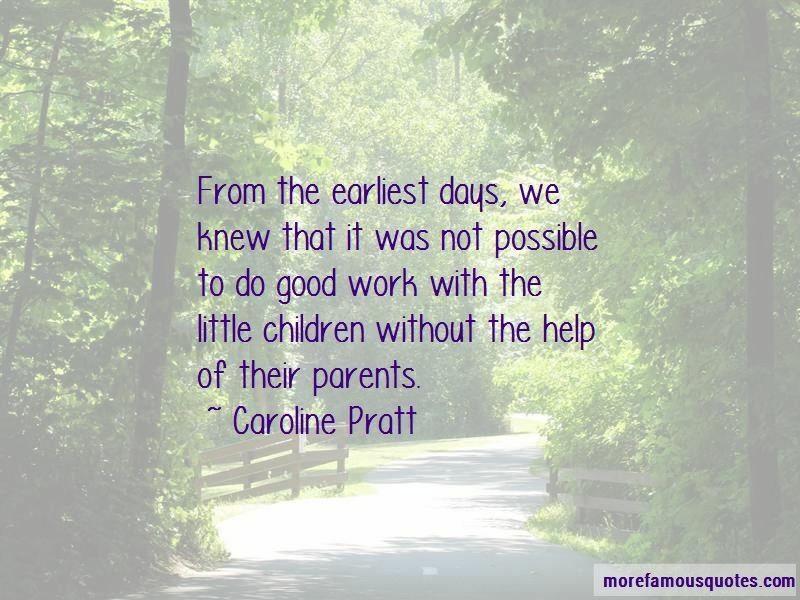 Click on image of Caroline Pratt quotes to view full size.